The fifth and final Act of the Monaco Sportsboat Winter Series 2015/2016 looks set to be a close-run final in both the J/70 (4-6 March) and Melges 20 (18-20 March) classes of this international one-design series, organised by the Yacht Club de Monaco. 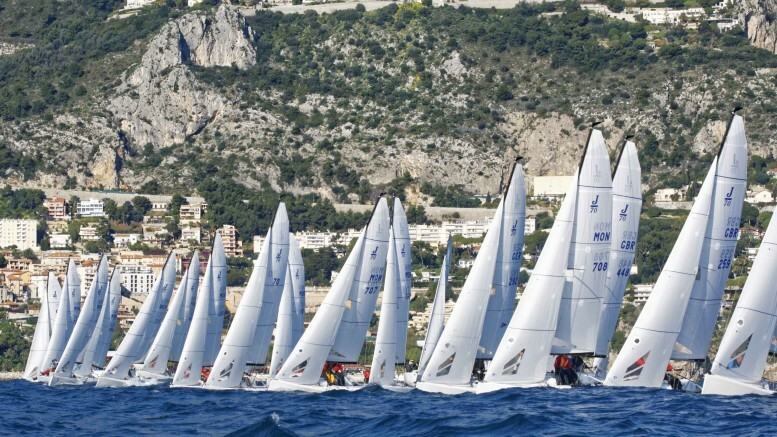 Held once a month from October to March, an initiative of Valentin Zavadnikov (Synergy), the regattas give amateur and professional teams an opportunity to establish their winter training base in Monaco to prepare for the summer’s big meetings. After four Acts and 17 races for the 65 entrants (seven nationalities) in the J/70 class, British sailor Sam Carter (Brutus) currently tops the leader-board in the provisional ranking for the season. He is just ahead of Stefano Roberti (Piccinina) and Jacopo Carrain(Carpe Diem), President of the J/70 Monaco Class Association, 2nd and 3rd respectively and both YCM members. Racing alongside them this weekend starting on Friday will be 15 Stars, here to put on a show for Act 3 of their European Winter Series (Trophée Princesse Grace). The Melges 20s follow in the wake of the J/70s two weeks later (18-20 March) to conclude their season. After 15 races, the Russian Alexandr Ezhkov (Pirogovo) is leading the fleet of 33 entrants but last year’s winner, Monegasque Guido Miani (Out of Reach) has yet to strike and is currently lying 5th. They will be joined by a dozen Smeralda 888s competing in their annual Spring Challenge. A system of GPS trackers to follow the races live, live streaming and direct arbitration on the water are among many tools deployed by the Yacht Club de Monaco to optimise sailors’ preparation and promote development of one-design racing in the Principality. With its new facilities built to host major nautical events, the YCM consolidates its reputation as a winter training & racing base for international sailors.